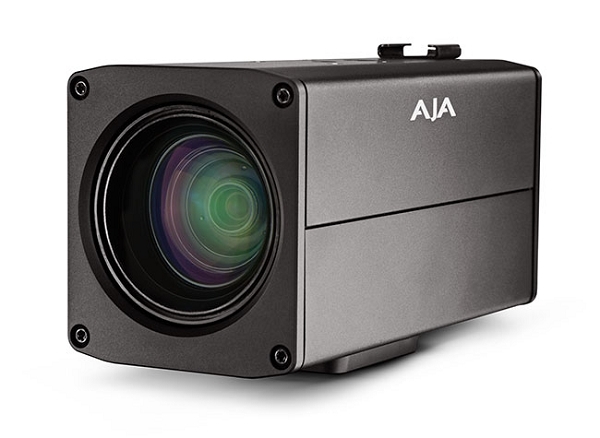 RovoCam is AJA’s first compact block camera for industrial, corporate, security, ProAV and broadcast applications. RovoCam’s HDBaseT interface supports control of 4K/UltraHD video, power, audio and RS-232 over a single Cat 5e/6 cable. Gorgeous UltraHD and HD imagery is captured with superior Sony optics with built-in 12x optical and up to 20x zoom with Sony Super Resolution Zoom. 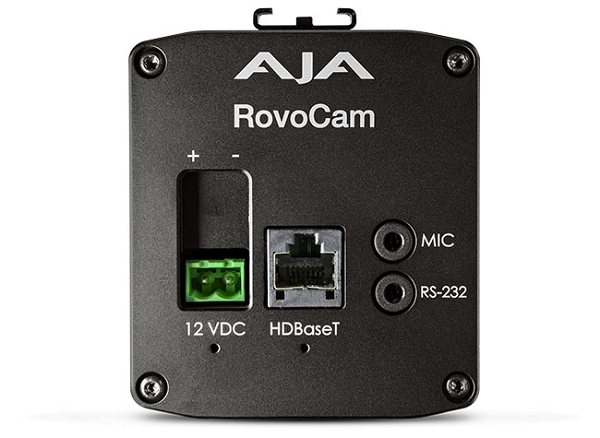 What sets RovoCam apart from other cameras in its category is an integrated HDBaseT interface supporting uncompressed video, power, stereo audio and RS-232 control over a single CAT 5e/6 cable running at lengths of up to 100 meters. Delivering this much functionality and power with single cable connectivity dramatically simplifies installation, camera setup and footprint requirements. 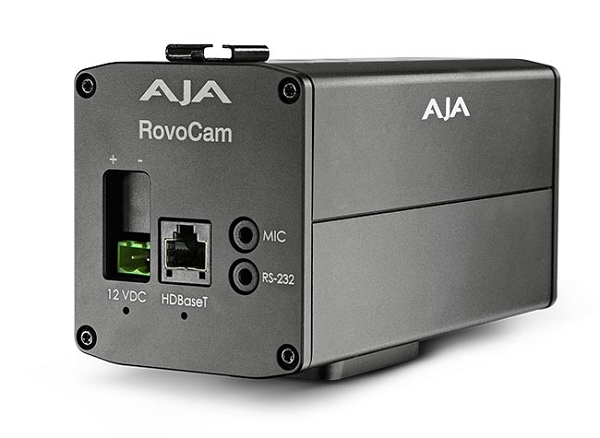 RovoCam is built around Sony’s 4K (Sony FCB-ER8300) camera module featuring the back illuminated CMOS sensor and Sony image processing for excellent performance. Reliable, practical and compactly encased in rugged and durable aluminum, RovoCam’s small and light form factor allows simple mounting in a wide range of scenarios.